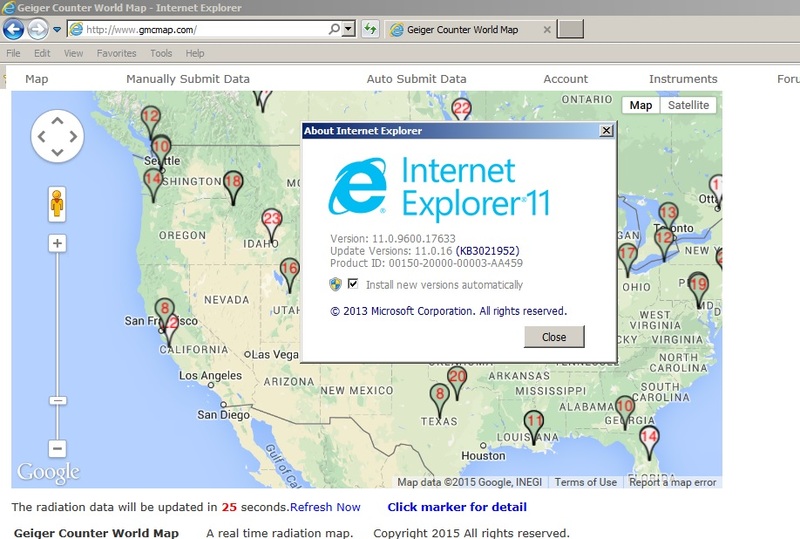 The pins do not show anymore in IE 11.0.20 version after latest Windows update (no issue in Chrome or Firefox). Image attached. Like I said, This issue happen after updating IE to latest version. Your IE is out of date. Yes. It is the problem from update KB3058515. Have the same Internet Explorer problem with my PC and Lap-Top when the update hit. Works great on Firefox. Found the problem, but currently has no fix yet. The IE 11 update KB3058515 blocked remote code execution from another server. In this map, the marker/pin drawings come from Google map server. Here used "h**p://chart.apis.google.com" as a basic marker/pin generator. We may need to wait Google map comes out another way for the map marker. If you must use IE 11, then you may need to uninstall the KB3058515 update.